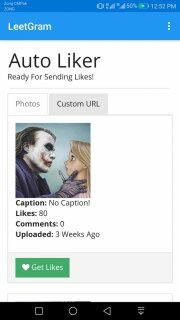 LeetGram is a must-have app for any Instagrammer who cares about their number of followers, likes or comments on their posts. 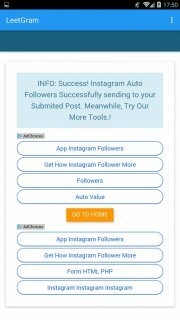 After just a few easy steps, you grow your numbers as fast as you can say 'LeetGram'. Getting started on LeetGram is a breeze. Just log onto Instagram through the app. 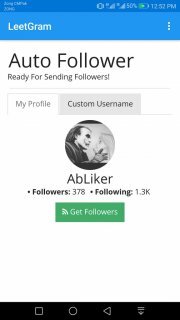 Then pick whether you want to get more followers, likes or comments. 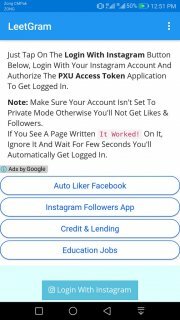 From there, sit back and watch as your following increases drastically—without any additional registration; or the need to go through the whole annoying follow back process. 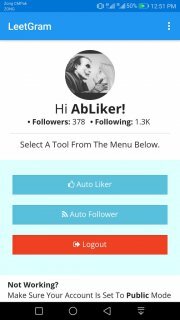 One of the best features in this app is that while other similar apps use fake accounts or bots, LeetGram puts you in contact with 100% real users—no one will notice they were artificially added to your account. Get more Instagram followers and engagement than anybody around thanks to LeetGram.